Greece on the internet with Services, Holidays, Travel and Every Information you Need! What are the latest destination wedding and honeymoon trends as we head into 2019? Here’s what’s going on according to Renée Strauss and Pamela Strauss-Goldman, the co-founders of Wedaways.com. Heritage Return: one of the top initiators of a destination wedding today is what is known as “heritage return”. The wedding will often be the first opportunity a couple has to return to their land of origin (or the land of ancestry for one of the partners). This is why Ireland and Italy are incredibly popular for destination weddings. Most Popular Wedding Destinations: the most popular wedding destinations are Tuscany, Italy; Amalfi Coast, Italy; Provence, France; Paris, France; County Kildare, Ireland; County Waterford, Ireland; Marrakech, Morocco; and Napa Valley, California. Honeymoon Destinations Gaining In Popularity: Wedaways is seeing more and more requests for honeymoons in Marrakech, Morocco; Santorini, Greece; Algarve, Portugal; Swiss Alps. Advance Booking: Couples are starting the booking process for a destination wedding approximately 15 months out and only 5 months out for the honeymoon. Guests Attend Based Upon The Destination: Guests often decide to attend based upon the destination versus if they actually want to see the couple wed! Pre-Wedding Planning Trips Are On The Rise: Couples take the time and spend the money to visit the destination and venue prior to the wedding date. They want to see and feel the overall venue experience so they can plan around it accordingly. Wedding Guests Are Booking Pre- And Post-Wedding Stays: Because guests are traveling great distances to attend a wedding, they take advantage of the opportunity to build their own travel into the trip. Wedaways is seeing many guests either departing for the destination earlier or staying on after the event. Guests are timing a cruise to coincide with the wedding, going from the wedding to a safari, or a scenic road trip in and around the wedding destination. Fewer Couples Want Pre-Packaged Anything: Even though a couple might be going to a hotel or resort that specializes in destination weddings and offers a wedding package, most don’t want a “cookie-cutter” experience and tend to stay away from a hotel’s “wedding package.” They seek out preferred wedding planners in the destination to ensure a truly bespoke experience. It’s Not Just A Wedding, It’s A Multi-Day Celebration: a destination wedding is much more than just the actual wedding day. Couples are now including itineraries in the guest’s welcome bags which include details on all of the events the guests can participate in as well as suggestions and options of activities guests can do to best experience that particular destination over a few days for the wedding celebration. Authentic Destination Guest Gifts: Couples are after authentic guest gifts which represent the destination of the wedding versus something generic. For example, for a recent wedding in Japan, one couple gave away gorgeous Japanese silk fans for their guests as a keepsake. Gains for the Community as number of Greek Americans in Congress increased – Senator Menendez re-elected, disaster averted! There was quite a bit of celebration in the Hellenic world over the results of Tuesday’s midterm elections. Kathimerini declared it a “Good Day for Hellenism in America”. Several media outlets noted the reelection of the Hellenes in the House of Representatives – Gus Bilirakis, John Sarbanes, and Dina Titus – as well of the swelling of their ranks with the election of Chris Pappas of New Hampshire to the House. 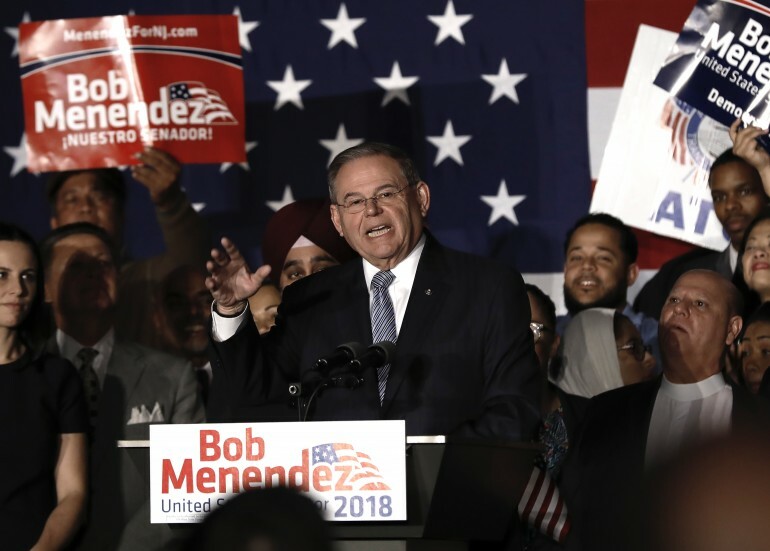 Hellenes around the world were elated over the reelection of Senator Bob Menendez. And the emergence of newly elected leaders at the state level – former Ambassador Eleni Kounalakis became the first Greek-American female to be elected to statewide office (Lieutenant Governor) in California, Andrew Gounardes and James Skoufis were elected to New York State Senate, flipping control of the Senate to the Democratic Party in that State. Was it really a good day for Hellenism in America? To answer that question, we must take a far deeper dive than anyone has yet and expand the analysis beyond the races above. In 2006, the community faced the loss of its greatest champion in Washington, D.C. – Senator Paul Sarbanes. At the PSEKA Conference after announcing his retirement, Senator Sarbanes told Greek-American leaders that there was someone more than ready to fill his shoes and that the most important thing they could do in 2006 was re-elect Bob Menendez to the US Senate. 12 years and a few election cycles later, that admonition stayed true. Most of the community and too many in Greece were far too casual about the prospect of losing Senator Menendez – a champion who has played a disproportionate role in laying the foundations for the successes the Hellenic agenda is realizing in Washington today. Fortunately, enough of us were vigilant and Bob Menendez was ultimately reelected by a comfortable margin. He remains the top Democrat on the Senate Foreign Relations Committee and one of the country’s most influential policy makers when it comes to American foreign policy. We experienced another flash of danger when Congressman Gus Bilirakis – co-chairman both the Congressional Hellenic Caucus and the Congressional Hellenic-Israel Alliance (CHIA) Caucus – faced a surging challenger. Again, just enough Hellenes rallied and Congressman Bilirakis was able to put away his challenger early Tuesday evening. These two examples should serve as cautionary tales. Unfortunately, not enough people in the diaspora and certainly not enough in Greece and Cyprus fully appreciate what a catastrophe losing either of these members of Congress would have been. Especially in Greece and Cyprus there is a tremendous underappreciation of the role of Congress in American foreign policy. Since both Athens and Nicosia have often declared their intention to emulate the model of Israel and the pro-Israel community in the US, they should start with understanding and interacting with Congress much better than they ever have. So, let’s turn to the incoming Congress. On January 3, 2019, the new Congress will be sworn in. It is widely and safely presumed that Nancy Pelosi will retake the mantle of the Speaker of the House of Representatives. So far, there is no discussion for any of the Greek-American Members of Congress seizing one of the official leadership roles, but there are certain Hellenic angles to those races as well. Congressman David Cicilline of Rhode Island – a member of the House Foreign Affairs Committee who authored the “End the Cyprus Arms Embargo Act” in the House as well as restrictions against F35 jet transfers to Turkey, has declared a run for Assistant Majority Leader. Beyond his established leadership on Hellenic issues, Congressman Cicilline has a Greek-American Chief of Staff, Peter Karafotas. Congresswoman Cheri Bustos of Illinois – who has quickly established a very close relationship with her state’s Greek-American community and has been incorporating young Greek Americans into her “Build the Bench” program – is pursuing the chairmanship of the Democratic Congressional Campaign Committee. In addition to Bustos’ relationships, her top finance staffer is a Greek-American, Denise Mousouris. There were a few significant losses due to retirement. Niki Tsongas, a six term Democratic member of Massachusetts who served on the Armed Services Committee (and the wife of the late Paul Tsongas), retired. An even greater loss will be felt by the Republican retirements of Ed Royce – the Chairman of the House Foreign Affairs Committee – and of Ileana Ros-Lehtinen – the Chairman Emeritus of the House Foreign Affairs Committee. We have had a decade long run of active pro-Hellenic Chairmen and ranking Members on the House Foreign Affairs Committee. We do not yet know which Republican will take the mantle of ranking member, but there is a good chance that this streak will end. On the majority side, Eliot Engel will be the new House Foreign Affairs chairman. Congressman Engel has long been close to the community and our issues. The first piece of legislation that he authored was on the humanitarian issue of the missing and Cyprus – which through the threat of sanctions brought about more movement on this issue than any other initiative. He broke tradition – of chairmen/ranking members not joining caucuses – and immediately joined the CHIA Caucus. And he was the author of the Turkey Christian Churches Accountability Act. Yet one other policy priority of Congressman Engel – he is among the most pro-Albanian members of Congress – bears watching as Greco-Albanian relations tense up. The role of Ted Deutch in the next Congress should excite the community as well. 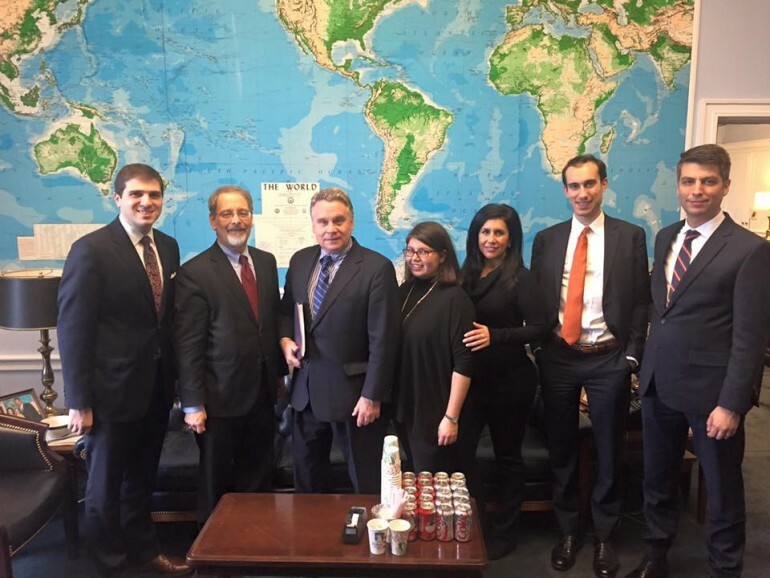 Congressman Deutch, who with Congressman Bilirakis co-founded and co-chairs the CHIA caucus, is set to take the chairmanship of the Middle East and North Africa subcommittee. During his years as ranking member, Congressman Deutch has successfully pressured the State Department to consistently reaffirm US support for the Republic of Cyprus’ rights within its Exclusive Economic Zone, has elevated the amount of policy attention Greece and Cyprus get in terms of U.S. policy in the Eastern Mediterranean, and has become a leading voice for closer strategic relationships for the US and Greece and Cyprus. That he will be able to do this from the perch of chairman – and an increasingly more prominent and public profile – is significant. The award-winning Hellenic Tourism Organization (EOT) video “Greece: 365 – Day Destination,” won Best Tourism Film in the World for 2018, beating 28 other nominated travel films. Greece’s video ranked first in public preference in 136 countries, with almost twice as many votes as the second best nomination, and was awarded the “People’s Choice Award, World’s Best Tourism Film 2018”, sponsored by CIFFT, the International Committee of Tourism Film Festivals. The video creators, Antonis Theocharis Kioukas, head of EOT in Austria, and Eleni Melita, received the award on behalf of the Greek Ministry of Tourism and the Hellenic Tourism Organization at a special awards ceremony in Vienna.